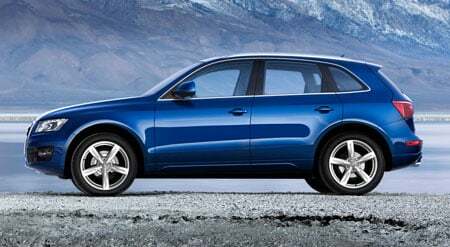 Audi Q5 in Malaysia: RM299k to RM325k! 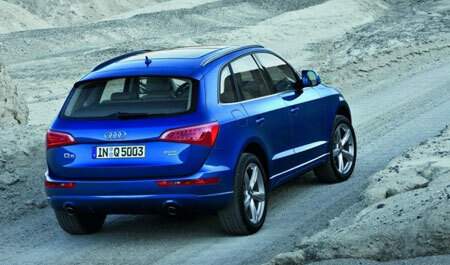 Home » Cars » Audi » Audi Q5 in Malaysia: RM299k to RM325k! The new Audi Q5 is here in Malaysia, available in two models – the regular version priced at RM299,000 or the S-Line priced at RM325,000, both prices without insurance. Both models come with the very nice 2.0 litre TFSI engine with Valvelift putting out 211 horses and 350Nm of torque between 1,500 to 4,200rpm, and is mated to a 7-speed S-Tronic twin clutch transmission. The S-Line package includes an S-Line exterior bodykit, Milano leather for the front seats and black headlining. On top of that you can also spec some other niceties including a B&O sound system for RM6k, a panoramic glass roof for RM10k and an electrical tailgate for RM6.5k. This should mean a fully loaded up Q5 should cost you RM347.5k! Although there are plenty of platform sharing going on between Volkswagen and Audi and the Q7 has many technical and platform similiarities to the Cayenne and the Touareg, the Q5 is no rebadged Tiguan. The Q5 is more of a SUV-ized Audi A4 and uses the A4’s MLP architecture, which means a longitudinal engine layout instead of the Tiguan’s transverse engine layout. Also, the Tiguan’s transverse edition of the engine puts out less power and torque – only 200 horses and 280Nm over 1,700 to 5,000rpm. 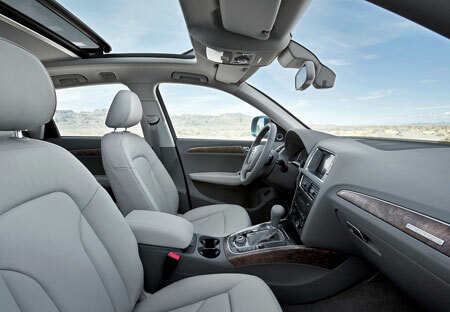 The Tiguan also uses a regular torque converter 6-speed auto, while this Q5 has a DSG. Its competitors in Malaysia is the new Land Rover Freelander 2 which goes for RM272k with a 2.2 litre turbodiesel engine, the Tiguan 2.0 TFSI which goes for about RM250k, the X3 which goes for RM320k (this model has even disappeared from bmw.com.my) and the RAV4 which comes in the cheapest at RM204k. Internationally there is also the Mercedes-Benz GLK but Malaysia will not see this model offered officially as Stuttgart has decided to build it in left hand drive only. Look after the jump for a full gallery and video of the Q5. Previous Post: Toyota Urban Cruiser photographed next to a Toyota Land Cruiser, see the family resemblance? Next Post: 2010 Audi A8 to get November debut?